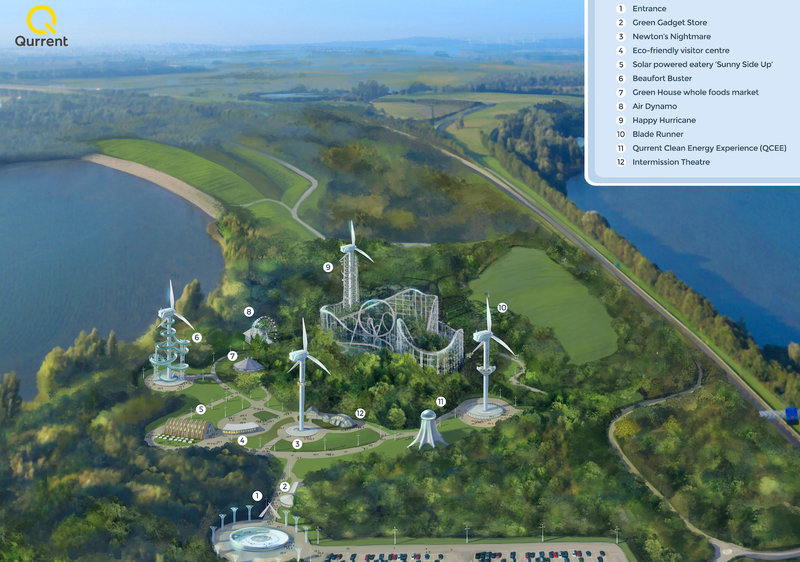 If you’ve ever wanted to see the views from atop a wind turbine, your wish may soon come true. The Dutch renewable energy company Qurrent just unveiled plans to transform a wind farm into the “world’s first sustainable theme park.” Designed in collaboration with Jora Entertainment, the park will be packed with adrenaline-pumping rides from the world’s tallest spiraling water slide to an incredibly fast attraction on a turbine blade booster. 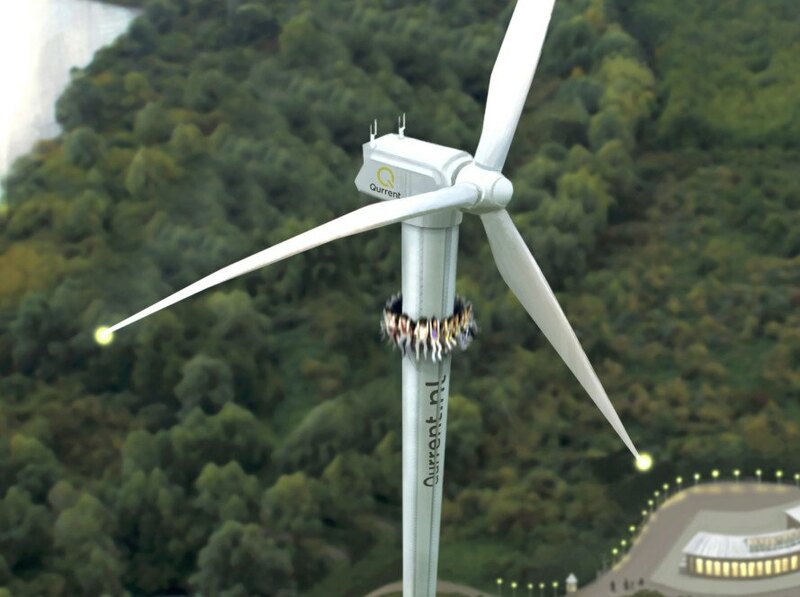 While Qurrent’s planned 8,000-square-meter theme park won’t be the first to be powered by wind, it will be the first to turn wind turbines into amusement park rides. The eco-theme park will also offer more than thrills and novelty. Qurrent envisions the park as a “celebration of environmental contribution” that will showcase Dutch renewable energy and educate the public on sustainable practices. The wind-powered attractions will include rides such as the Beaufort Buster, a spiraling water slide that winds around the wind turbine tower; the Blade Runner, a “shockingly fast ride on a turbine blade booster;” the Newton Nightmare, a drop tower ride that descends 95 meters in 1.5 seconds; and the Happy Hurricane rollercoaster ride. In-park eateries will be solar powered. Only in America. Honest to God, only we hear return something as sane and serious as the wind energy generation form into an amusement park. And no, I don't think such a part will promote wind energy one iota as much as it will make a mockery of it. Qurrent envisions the park as a “celebration of environmental contribution” that will showcase Dutch renewable energy and educate the public on sustainable practices. Newton Nightmare is a drop tower ride that descends 95 meters in 1.5 seconds. The Happy Hurricane rollercoaster ride. Blade Runner is a “shockingly fast ride on a turbine blade booster." Beaufort Buster is a spiraling water slide that winds around the wind turbine tower.